I got the nicest gift the other day: a set of blank cards from The Hummingbird Bakery in London. 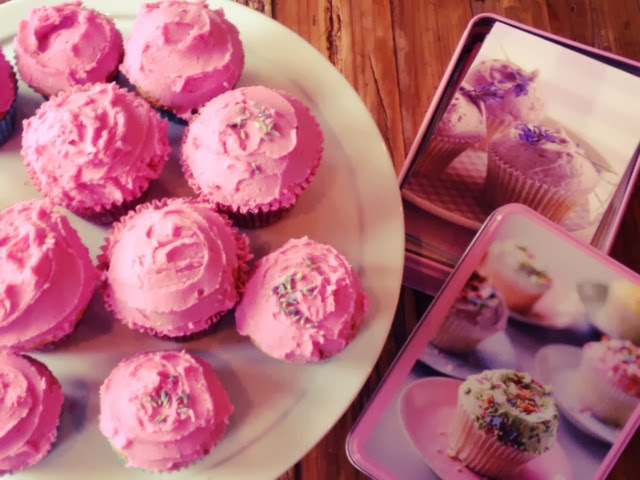 It's quite a handy gift, not only you have a stash of cute looking cards for birthdays and "thank you" notes but what's best, they have printed yummy cupcake recipes on the back of each card! So no more last minute rushing to the petrol station for dubious-looking birthday cards for a while! Here is one of the cupcake recipes I put into action, to thank a couple of friends for letting us stay over at their place. 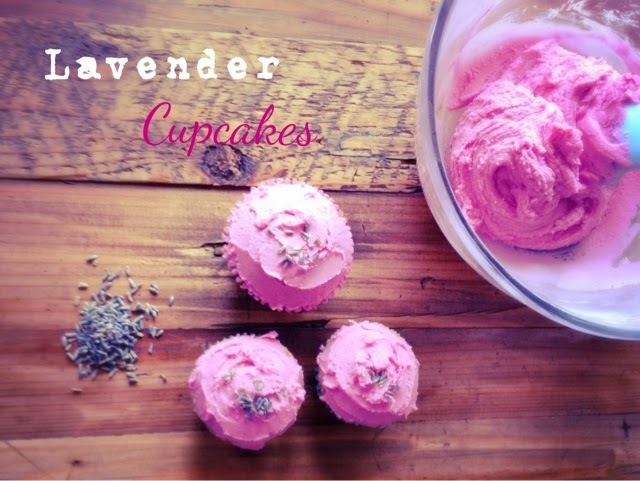 Start a couple of hours in advance by soaking the lavender flowers in the milk you are going to use for the batter. Truth be told, I didn't look at the recipe beforehand so I only soaked the flowers in the milk for fifteen minutes. I resorted to warming the milk up a little - make sure it doesn't boil - in order for the lavender fragrance to infuse the milk faster. It worked perfectly fine. 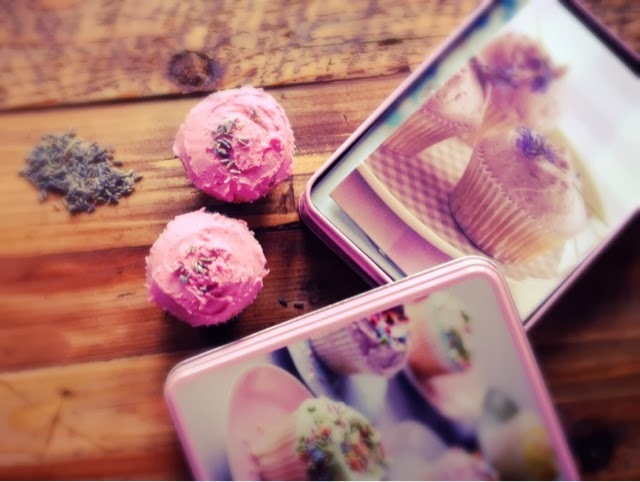 Lay a 12-cupcake tray with paper cases and turn the oven on at 170C to warm up. Mix the flower, butter and baking powder together until well combined. Strain the infused milk and slowly add it to the flour mixture. Keep two-three spoonfuls of infused milk aside, for the icing. Finally add an egg and whisk well together, but don't overwork it. 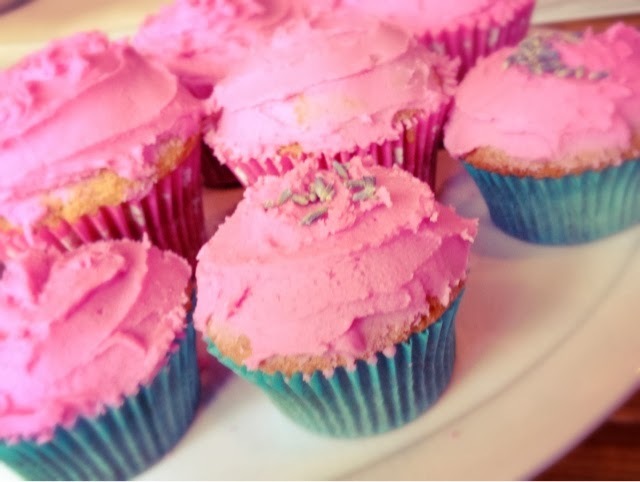 You need some air bubbles to lift the batter to fluffy little lavender sponges. Fill the paper cases half way up with the batter, it does double in size once cooked. Bake for 20-25 minutes at 170C. Once golden, take out of the oven and let the cupcakes cool down.